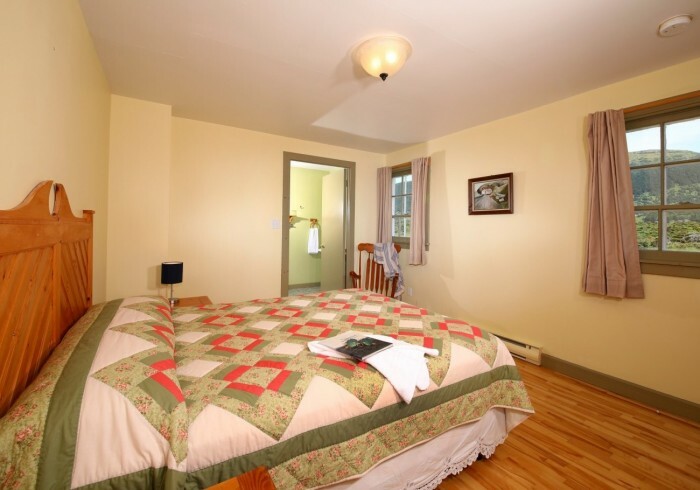 Located 40 minutes from the Port aux Basques, this is the ideal spot to spend a night on your way to or from the ferry. From Port aux Basques take highway # 1 (Trans Canada Highway/TCH) to Doyles, turn left on route # 406 (approximately 20 kms to Cape Anguille Lighthouse). From Stephenville take highway # 1 (Trans Canada Highway/TCH) to Doyles, turn right on route # 406 (approximately 20 kms to Cape Anguille Lighthouse). Turn right at the 8 sided bird interpretation centre. Cross the bridge and follow the road as it works its way out through Millville and the community of Codroy and on to Cape Anguille. If you are like me you might manage to wander off the route but not to worry, there are few options to get lost for long, and all are pretty diversions! If your schedule means you are going to be arriving late please let our office know at 1.877.254.6586. If you are delayed at the last minute, the number at the inn is 709.955.3185. This phone is also available to guests if you need to call out. We are now offering supper. Having a sea food plant in the neighborhood and being surrounded by one of the province’s most fertile farming regions has allowed us to provide a meal for guests featuring whatever is best that day. We have been experimenting with recipes that also feature local wild berries, when possible. It is going to be a fun epicurean summer! Supper is served at 8:00 PM daily but is by reservation only and MUST be booked at least 24 hours prior to arrival by phone at 709.955.3185. The price will be $35 + tax per-person. Let us know if you would like that experience! We trust you will enjoy your stay but any suggestions for improvements are welcome. Our Inn at Cape Anguille is a restored century-old light-keeper’s home in a beautiful corner of western Newfoundland and is designated as a Registered Heritage Structure for Newfoundland and Labrador. The Atlantic Ocean provides the temperamental backdrop to the peaceful landscape, dotted with horses and sheep wandering the meadows and hills.The price is based on double occupancy. If booking with one adult, you can book one child as an adult to reduce additional person charge(s).